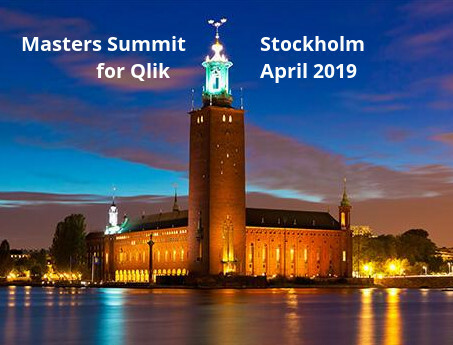 Here’s an opportunity to fast track your Qlik team in using Qlik Sense APIs to create extensions, mashups, portal integrations and custom content pages that leverage data and visualizations from Qlik Sense. The differences and use cases for the various QS APIs e.g. Capability, Visualization, Engine. Key QS API concepts such as the generic object model. Connecting to the QIX engine to retrieve existing content or generate aggregations (hypercubes) on the fly. Visualizing data using third party libraries. Students will come away with example code and completed exercises giving them the confidence to move ahead on their own. 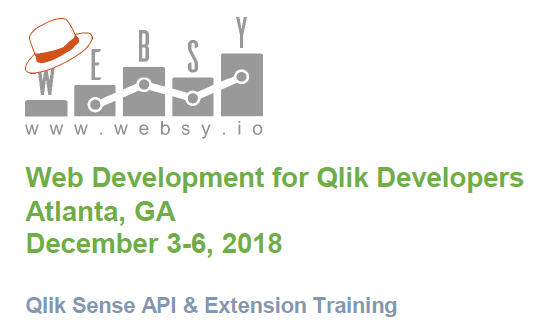 No prior experience with web programming is required as the course will provide an intro to web dev technologies and how they are used in Qlik Sense Web Development. Even if you don’t have a specific project in mind, I recommend taking this course to understand the power and potential of the QS APIs. You’ll be surprised and inspired! 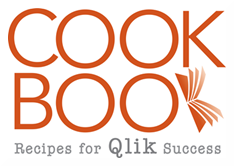 Previous PostTheming the Qlik Sense Script EditorNext PostDoes Data Sort Order Impact Chart Calc Time? Would love to attend this course – preferably in Europe .. Curious how many seats will be available for this week of training. Class will be limited to 10 students. Yes, there is still space available. I have initiated the registration and really exicted to be part of this training and meet you in person.